Thailand — Edu-Odyssey "Experience to Inspire"
Edu-Odyssey's Thailand Program is designed carefully to introduce students to both the idyllic, peaceful island life and culture of Koh Samui and the emerging, modern metropolitan of Bangkok. Koh Samui, where we begin our journey, is an island located in the Gulf of Thailand known for its friendly locale and gorgeous beaches. Here students reside in Thai designed, modern, beach-side accommodation while attending intensive Digital Photography and TEFL Courses that are woven into island excursions. Approximately the last third of the program will take place in Bangkok, where students will relocate to the bustling international hub of Khao San Road to safely experience the other side of Thailand. While it can be quite difficult for one to navigate the marketplaces and transit systems of Bangkok, we fully assist students, even with their extracurricular trips, to ensure their safety and good time. While it's snowing back home, Thailand is entering peak beach weather! Expect to spend a lot of time outdoors and getting your feet wet (literally, with elephant bathing, kayaking and snorkeling) and having FUN learning on this trip! Koh Samui's cultural treasures are buried in its wooded wilderness, while Bangkok is a bright and inventive mixture of ancient Thai Buddhist influence and modern urban adaptation, perfect for our class' intellectual exploration. Students find this contrast compelling and it reflects in their final portfolios. No experience needed for either Digital Photography or TEFL. 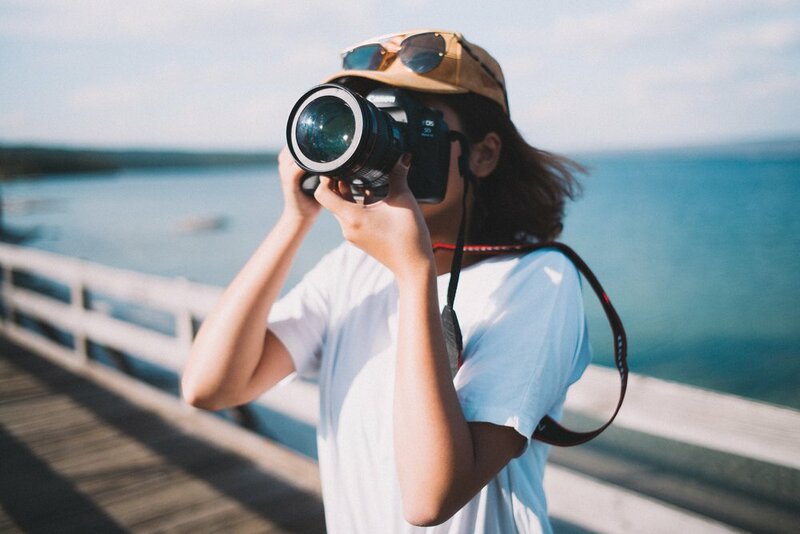 From novice to master, we will help you to develop the tools of trade and photography and an understanding of what notable persons have accomplished with the mediums so that you can take them in your future travels and academic endeavors. For aspiring teachers, this course introduces you to techniques of the trade, foundational knowledge of applicable teaching strategies, and cultural awareness and responsiveness training to enable you to perform well in TEFL positions worldwide. Save your holiday shopping for notoriously inexpensive Thai local and handmade Markets, you will love the local attire! Edu-Odyssey aspires to leave a positive mark on the countries we visit. We have a great relationship with locals, are well known, and contribute to local non-profits such as the Elephant Sanctuary. As the demand for effective English language instruction around the globe continues to increase, it becomes more and more necessary to be able to meet the demands of the international marketplace as prospective EFL/ESL teachers. This course is designed to give students a foundation in modern learning and language acquisition theory and practices. Students are guided through all stages of TEFL/TESL teaching such as preparation, planning, implementation, classroom management and analysis. Upon completion of this course, students will have the necessary skills to teach specific subject areas to different age groups, in private and group class settings, and using a range of different technologies. Students will be issued an Edu-Odyssey Certificate of Completion and assisted with finding employment abroad as English Teachers if requested. Since the invention of photography nearly two centuries ago and the rise of digital technology, the way human beings receive information, see the world, and see themselves has radically changed. In the 21st century photography has established itself as a formidable tool of expression within the arts. Aimed at encouraging creativity, this course will emphasize a critical sense of visual language in contemporary photography using Thailand, and its environs, as inspiration for new work. We will explore a sense of place through encounters with everything that is Thailand including photographic exhibitions where we will investigate social and historical contexts in photography. Camera techniques, photographic principles, and editing fundamentals with software like Photoshop will be covered. Students will participate in group critiques where they will identify an emerging line of personal inquiry in their work, culminating in a creative series or photo essay for the class. *Programs are subject to change as deemed fit due to inclement weather, availability and varying circumstances as Edu-Odyssey adapts to provide the best experience for students. While in Koh Samui Island, students stay in shared, modern, beachside housing with convenient, walkable access to Lamai town center. They will have access to hot water, Wi-fi, a pool, an outdoor gym and many conveniences to make your stay safe and comfortable. When in Bangkok, students stay in a fun and safe, centrally located hostel near Khao San Road. Edu-Odyssey staff stay on site so that students have access to support at all times. During the island section of the semester, students visit Namuang Waterfall, the Giant Buddha and Mummified Monk, Wat Plai Laem, Wat Phra Yai, Grandmother and Grandfather Rocks (Hin Tai and Hin Yai), the Secret Buddha Garden, and Ang Thong National Wildlife Park. While in Bangkok they visit the Grand Palace, Wat Pho, and Wat Arun (two main temples of the city), an Elephant Conservatory. Students take a boat ride along the Chao Praya River and visit bustling Chinatown. Edu-Odyssey programs offer stand out pre-departure assistance and 24 hour on-site support. Prior to leaving, each student is helped with the departure process and given key information about the destination and program requirements. Our on-site orientation introduced students to common behaviors, values and differences of the host culture in order to decrease culture shock and make sure you feel safe.